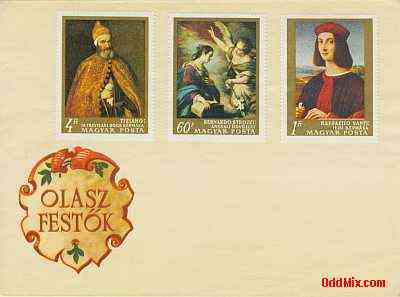 This stamped commemorative envelope was issued as a tribute to the great Italian Painters. The complete set is on three envelopes. See the first envelope hereand the second envelope here. This hard to find commemorative envelope is a must for serious collections. First come first serve, only one special stamped envelope available!